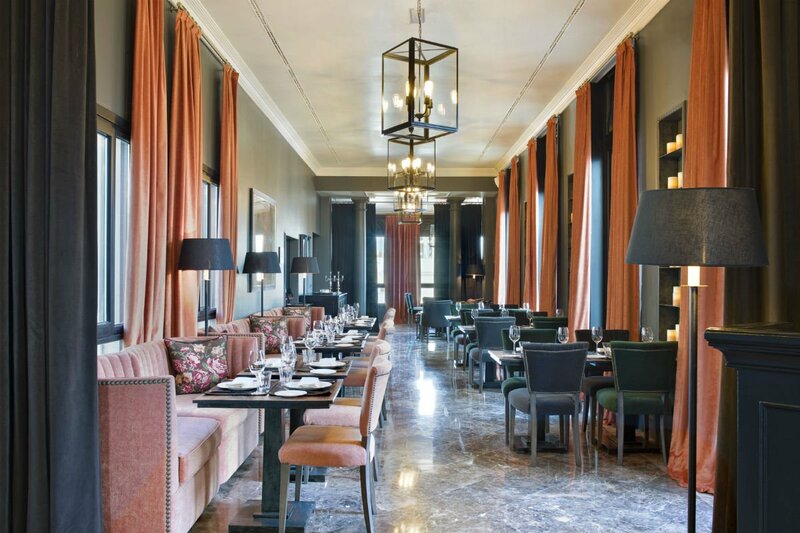 A suave and elegant 1920s Spanish Renaissance building by day reveals a boozy interior landscape for the city's pretty people at The Principal. 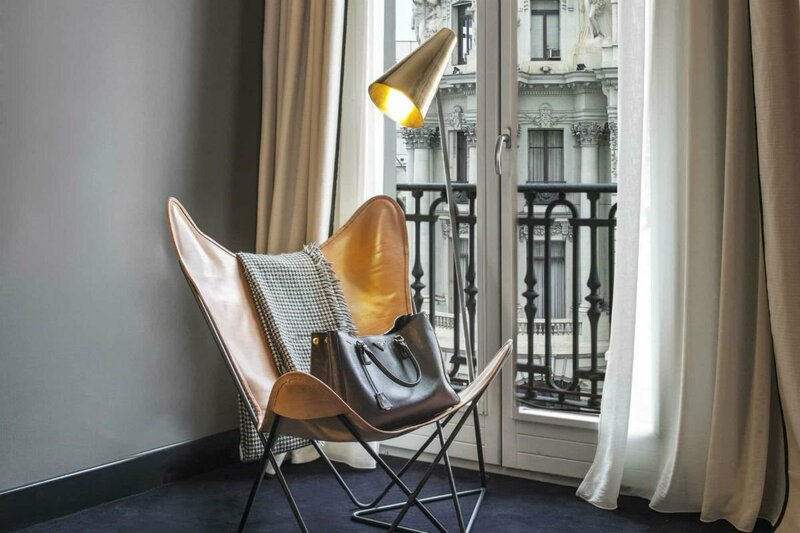 Ideally located off central Madrid's Gran Via, a romantic Grand Dame exterior leads to a tonal ash-and-charcoal gray color scheme oozing polish, charm, and the promise of some grown-up fun. With a hidden alley door and bouncers with guest lists, gaining entry is not unlike getting admitted to an exclusive club. Extravagant furnishings in plush velvet and leather continues the theme. Come nightfall you'll want to make your way upstairs to the rooftop, gin and tonic in hand, so that you can look out on all of Madrid. When school is out for the summer, The Principal is where the adults go to play. 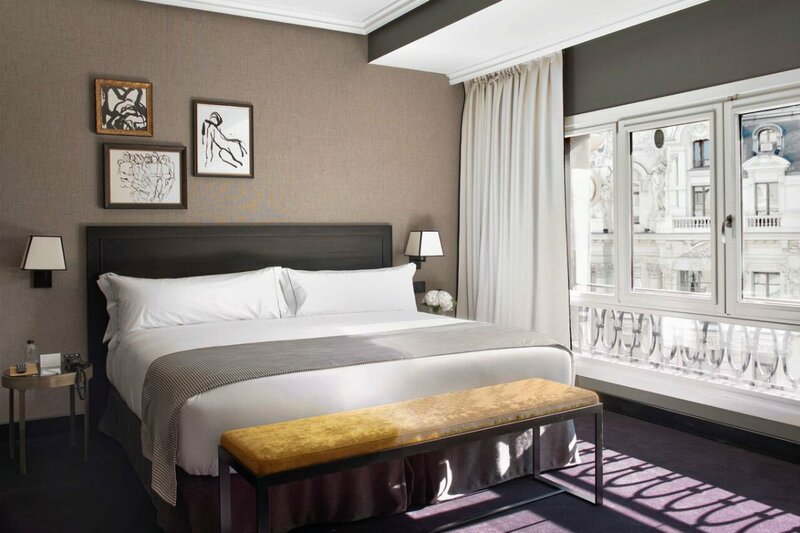 Rooms: 76 rooms including three junior suites and the Suite Gran Vía, a decadent space featuring its own sitting and dining rooms, and multiple balconies and entrances. Junior suites include couch-filled reading nooks. Large windows and high ceilings pay homage to the buildings historic bones, but coupled with the muted charcoal-gray and off-white palette, the rooms are modern and refreshing. Airy, subway-tiled bathrooms have walk-in showers filled with luxurious Gilchrist and Soames toiletries. Make use of the complimentary Nespresso machine or tea infusion set. On Site: The Wellbeing Zone is a rejuvenation haven, incorporating both spa and gym in one; the second floor facility offers Technogym machines and personal training sessions, while the spa menu has all the facials and massages you could need. 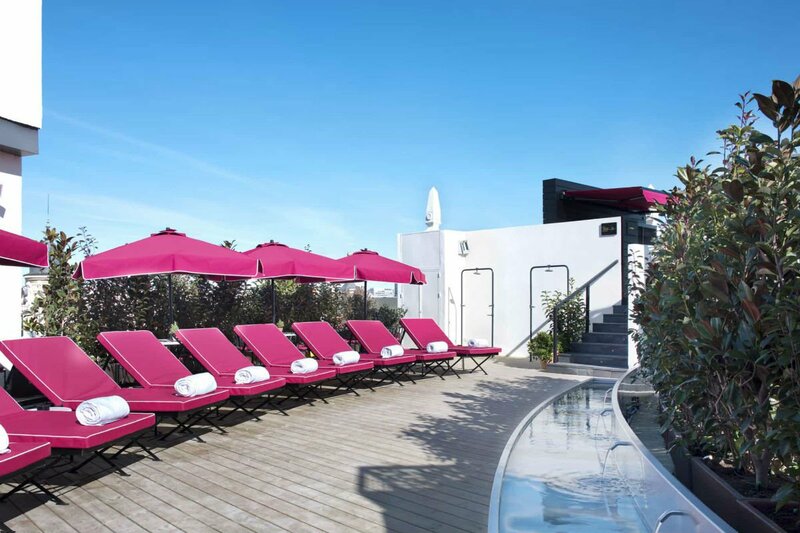 By day, partake of the rooftop solarium, a series of hot pink cushioned sun-beds, and an ornamental pool ideally located to soak up some Spanish sun. 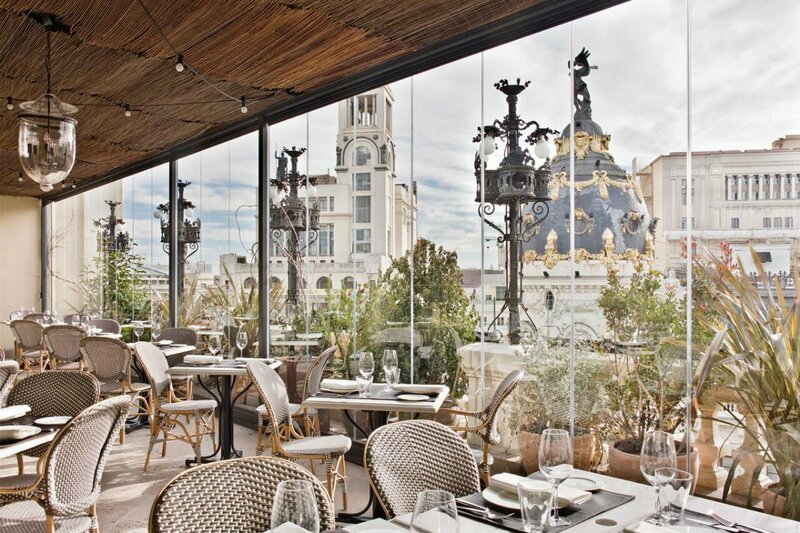 Food and Drink: Restaurante Atico, run by two Michelin-star chef Ramon Freixa, is on penultimate floor of the hotel. 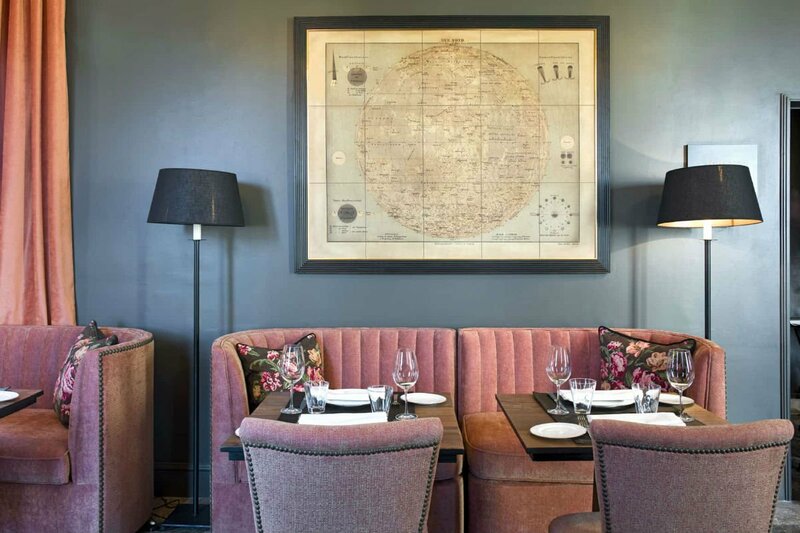 The recent Repsol Sun-awarded eatery showcases informal, modern Spanish cuisine, an impressively classic cocktail menu, and lots of crushed velvet in salmon pink. A jungle-themed pergola, lush with cypresses and olive trees, leads to floor-to-ceiling windows. 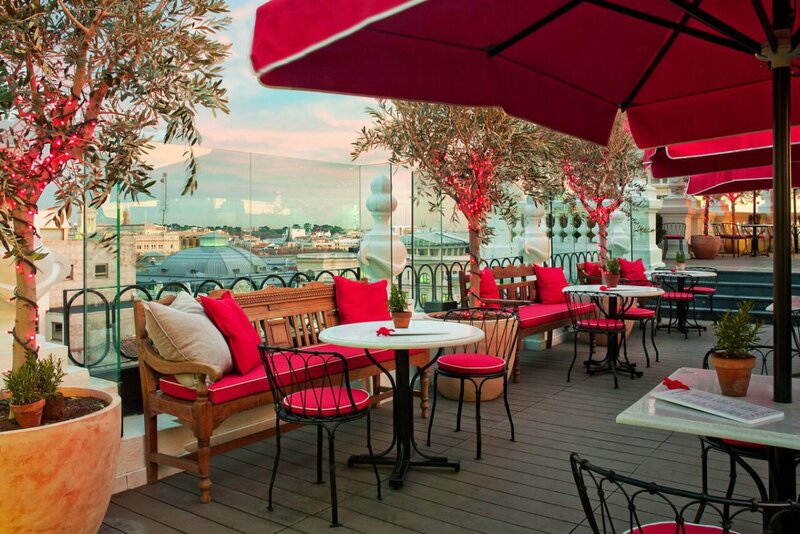 For a smaller bite and a bigger drink, ascend an extra set of stairs and sip your beverage with a highly sought after, 360-degree backdrop at atmospheric rooftop bar La Terraza. Rates change seasonally and typically start at $250 depending on the room type. Click here for reservations. Or get in touch with the Fathom Travel Desk to have your trip planned for you. Kickstart your morning with a cafe cortado and a run around nearby El Retiro Park's boating lake — your friendly concierge will be happy to provide you with a map of suggested routes. After working up an appetite, take a stroll downCalle de — be sure to check out the Puerta del Sol plaza as you go past — and make your way to Mercado San Miguel, Madrid's famed food market, to sample some local pastries and churro con chocolate. You're spoiled for art options in Madrid, and you'll definitely want to take in a gallery in the afternoon. While the classic galleries of Madrid's "Golden Art Triangle" are all nearby, another option is Mad is Mad, a young gallery devoted to contemporary creation, irony, and urban experimentation. 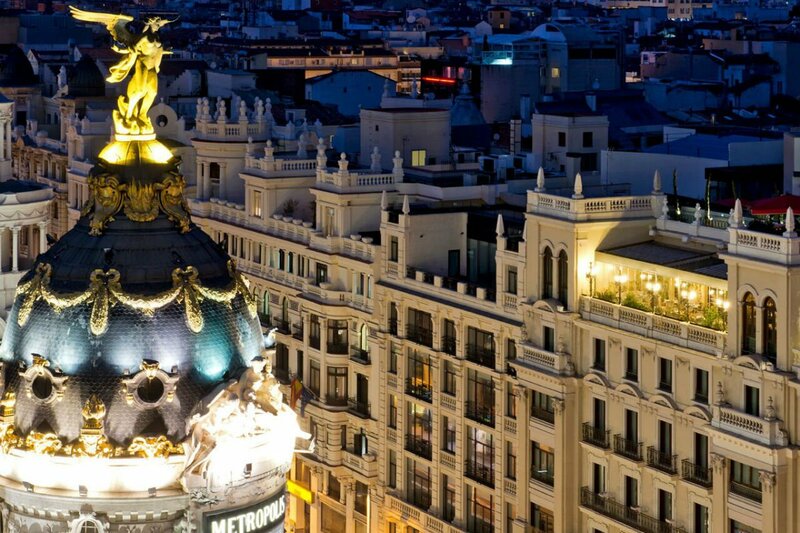 After a dose of culture, hit up Gran Via for some retail therapy and food. Mercado de la Reina does fantastic contemporary Spanish food or tapas, and while a cluster of bars are easily found nearbyGinclub and Del Diego should be top of your list for a great digestif.